Any abnormally in the skin is a major concern and worry factor, Since clear skin is the first step to beauty. Rosacea is a chronic condition in which is characterized by red face due to persistent redness, red spots, flaky/ dry skin, sensitive skin etc. The root cause of this chronic condition is unknown although it is been related to factors like Blood vessel abnormalities, mites, Genetics, Exposure to sunlight, menopause and other medical conditions. Treatments for Rosacea are limited as there is no cure and hence various precautionary and cosmetic treatments are most common. Natural home remedies have a great say in preventing rosacea, and one among them is Apple Cider Vinegar (commonly known as ACV). ACV is made out of apple extracts and fermented to give it a vinegar form. As Apples, ACV carries essential nutrients to treat skin ailments and offer variety of health benefits. 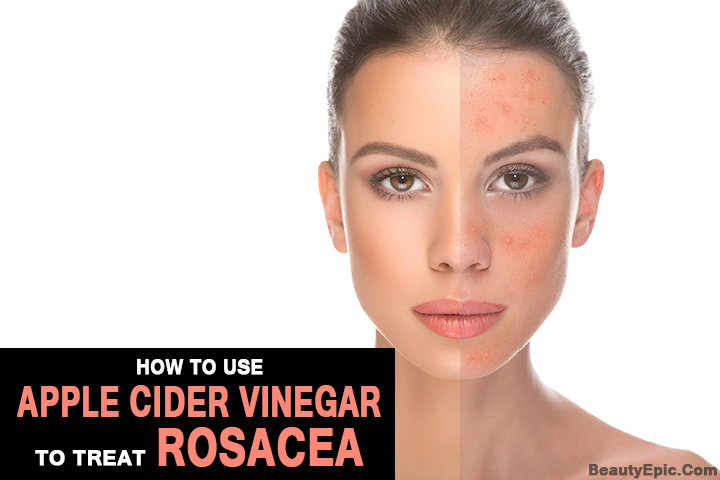 How to Use Apple Cider Vinegar for Rosacea? Apple cider vinegar has been a traditional folklore ingredient and has been used for various health benefits. Natural ingredients take a preference when it comes to skin, and we are skeptical about treating our skin with cosmetics and harmful chemicals contained in them. ACV with nature’s ingredients works the best. Read on! 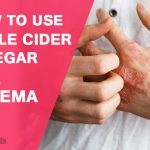 ACV aids in eliminating toxins and is a natural disinfectant which helps in reducing bacteria and yeasts on the skin, and thus forms a useful treatment for rosacea. 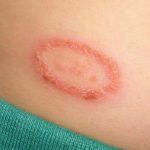 Take a few drops of ACV on to a cotton ball and spread it directly on the affected areas. Alternatively, Mix 1 teaspoon of ACV into a cup of water. This solution is meant for oral consumption. Oral consumption will ensure a healthy gut and in turn your skin will have visible results. Essential oils soothe the redness and inflammation, and Aloe Vera acts as a cooling agent. When combined with ACV makes it a power packed recipe to treat symptoms of Rosacea. Mix all these ingredients and spread it over the affected area, avoiding eyes. Let this stay on for a while on your face and then gently wash off. This facial mask combines all the natural ingredients which help soothe the redness and restore the natural skin moisture. Prepare Green tea and let it cool down. Take 5 Teaspoons of Green tea and add in the remaining ingredients and stir it well. Gently apply this face pack using your fingers to your skin, avoiding the eye area. Do not rub. Let this face pack stay on for 15 mins, and rinse off with lukewarm water. Since the exact root cause for Rosacea is not known, the treatments are based upon certain triggers of Rosacea ranging from extreme climatic conditions, medical conditions, stress, Alcohol etc. The triggers may vary from person to person. Hence, It is vital to know the triggers and then treating them. Protect yourself from extreme climatic conditions. High intensity workouts may make the condition worse and hence opt for exercises in moderation. Some medical prescriptions and chemical components may be another trigger for Rosacea. Consult to seek a medical opinion and change of medicines if required. Manage your stress levels and keep a balanced and healthy diet. 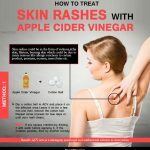 ACV could help improve the skin condition, however being a preventive natural remedy one should not only rely on ACV for instant cure. Visiting a dermatologist is a must to see better and improved results from the use of ACV as well. Can Apple Cider Vinegar Help You Get Rid Of Blackheads?